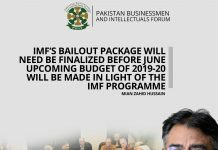 IMF’s bailout package will need be finalized before June Upcoming Budget of 2019-20 will be made in light of the IMF programme – hard decisions expected – Government should provide Business friendly Environment for the Revival of Economy. 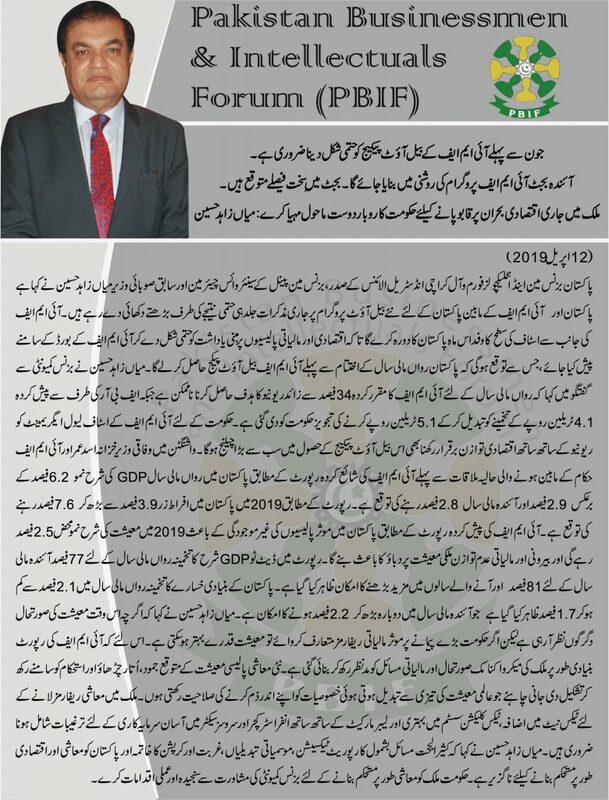 President Pakistan Businessmen and Intellectuals Forum (PBIF), President All Karachi Industrial Alliance (AKIA), Senior Vice Chairman of the Businessmen Panel of FPCCI and former provincial minister, Mian Zahid Hussain on Friday said that the talks between Pakistan and International Monetary Fund (IMF) for the next bailout program are heading towards its final phase. 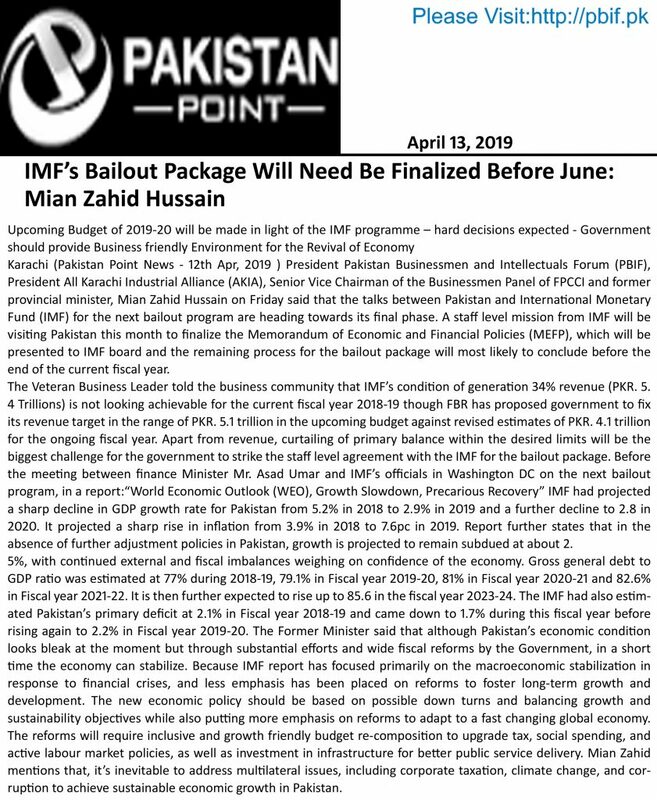 A staff level mission from IMF will be visiting Pakistan this month to finalize the Memorandum of Economic and Financial Policies (MEFP), which will be presented to IMF board and the remaining process for the bailout package will most likely to conclude before the end of the current fiscal year. 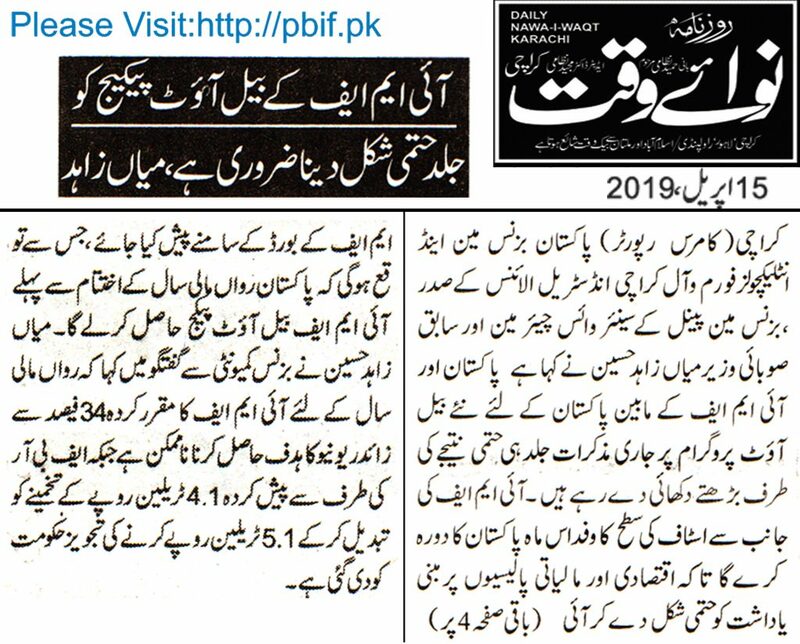 The Veteran Business Leader told the business community that IMF’s condition of generation 34% revenue (PKR. 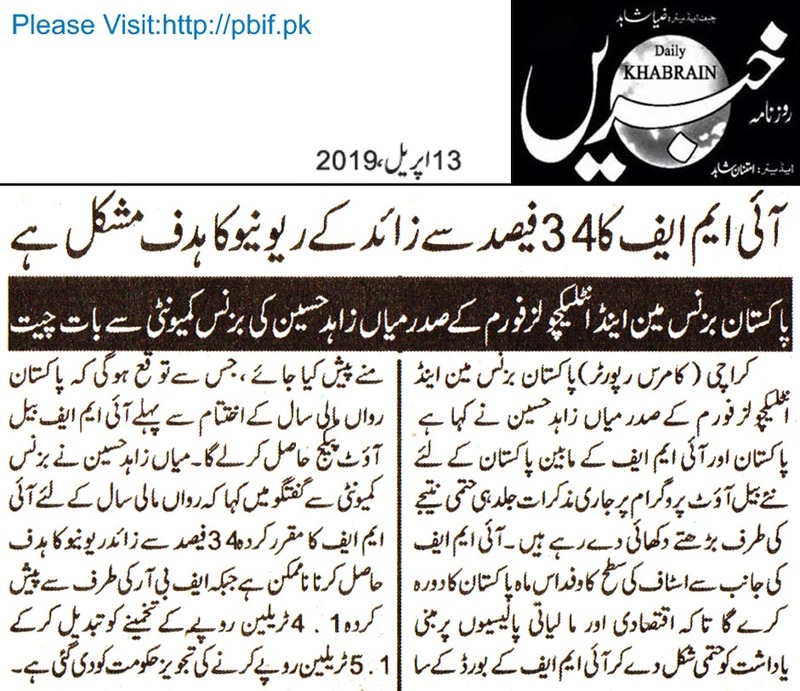 5.4 Trillions) is not looking achievable for the current fiscal year 2018-19 though FBR has proposed government to fix its revenue target in the range of PKR. 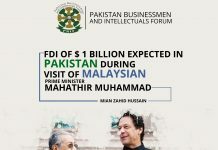 5.1 trillion in the upcoming budget against revised estimates of PKR. 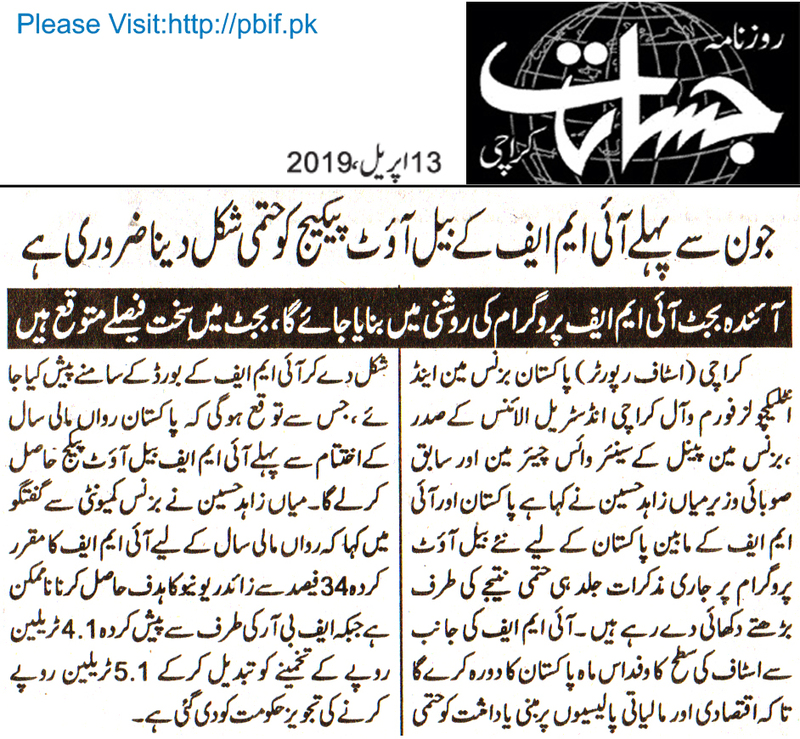 4.1 trillion for the ongoing fiscal year. 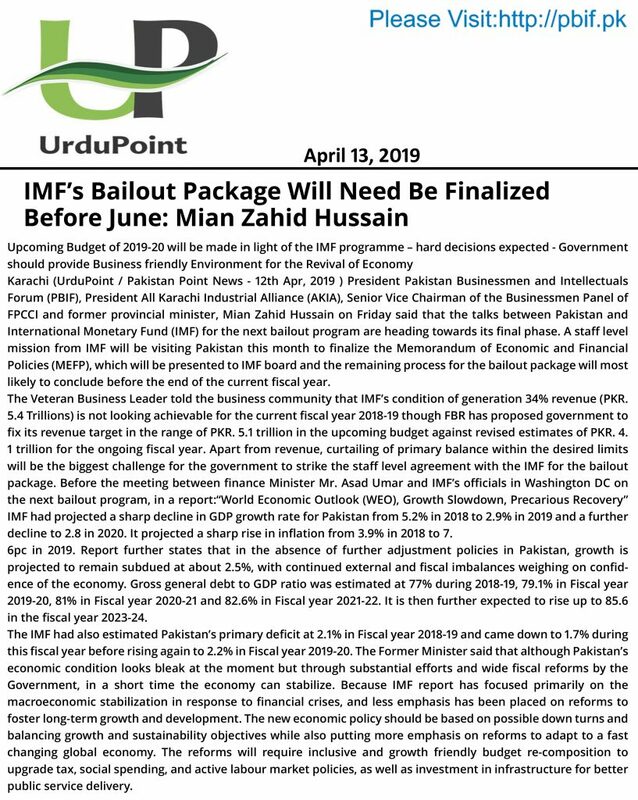 Apart from revenue, curtailing of primary balance within the desired limits will be the biggest challenge for the government to strike the staff level agreement with the IMF for the bailout package. 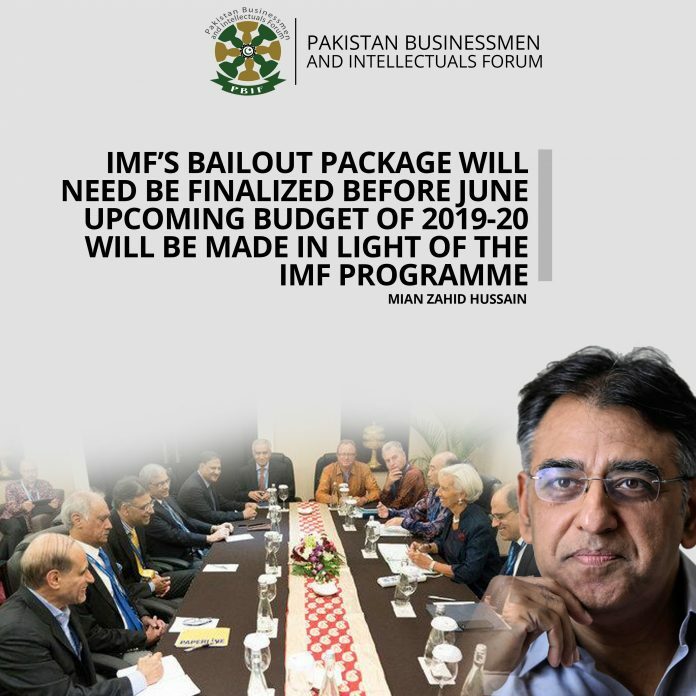 Before the meeting between finance Minister Mr. Asad Umar and IMF’s officials in Washington DC on the next bailout program, in a report:“World Economic Outlook (WEO), Growth Slowdown, Precarious Recovery” IMF had projected a sharp decline in GDP growth rate for Pakistan from 5.2% in 2018 to 2.9% in 2019 and a further decline to 2.8 in 2020. 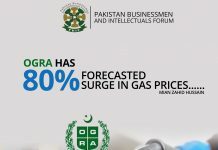 It projected a sharp rise in inflation from 3.9% in 2018 to 7.6pc in 2019. 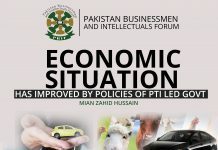 Report further states that in the absence of further adjustment policies in Pakistan, growth is projected to remain subdued at about 2.5%, with continued external and fiscal imbalances weighing on confidence of the economy. 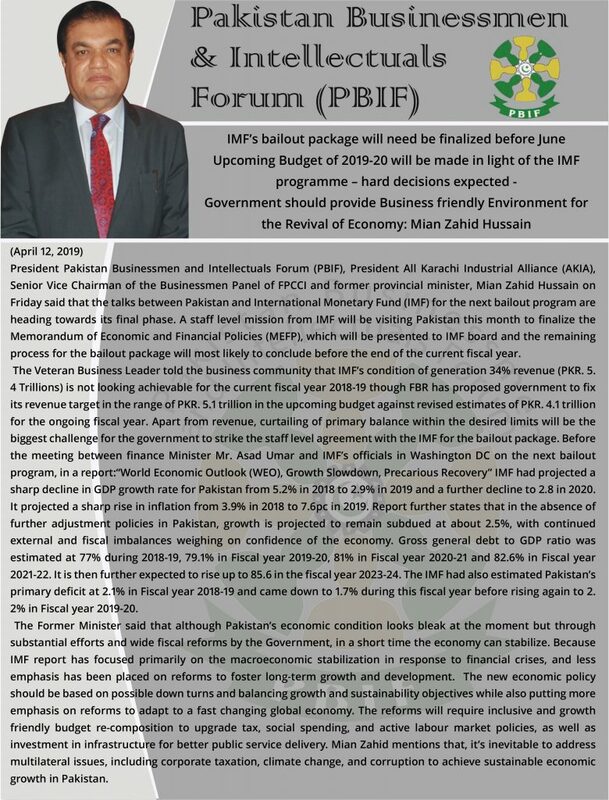 Gross general debt to GDP ratio was estimated at 77% during 2018-19, 79.1% in Fiscal year 2019-20, 81% in Fiscal year 2020-21 and 82.6% in Fiscal year 2021-22. 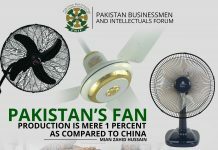 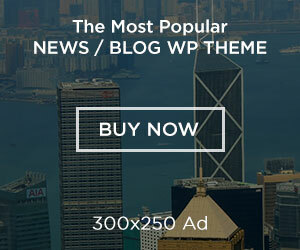 It is then further expected to rise up to 85.6 in the fiscal year 2023-24. 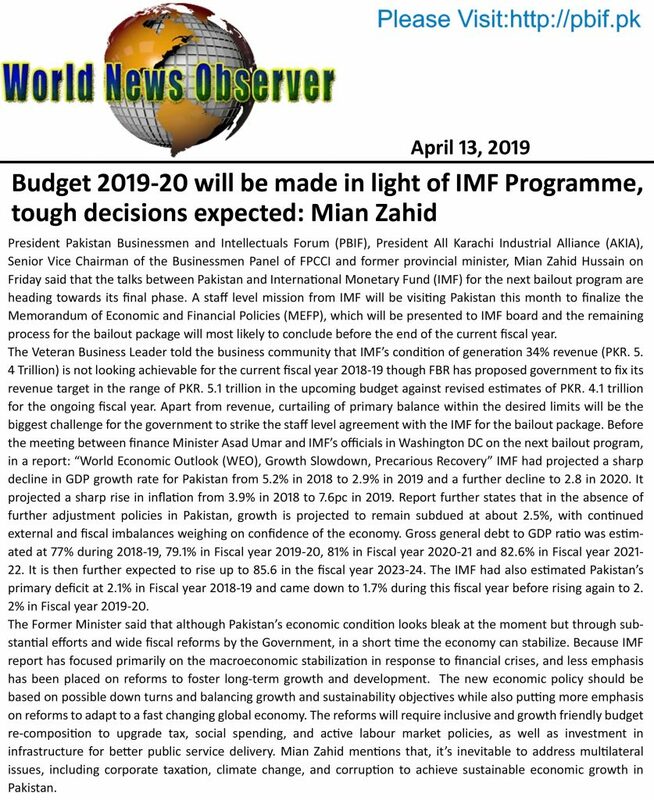 The IMF had also estimated Pakistan’s primary deficit at 2.1% in Fiscal year 2018-19 and came down to 1.7% during this fiscal year before rising again to 2.2% in Fiscal year 2019-20. 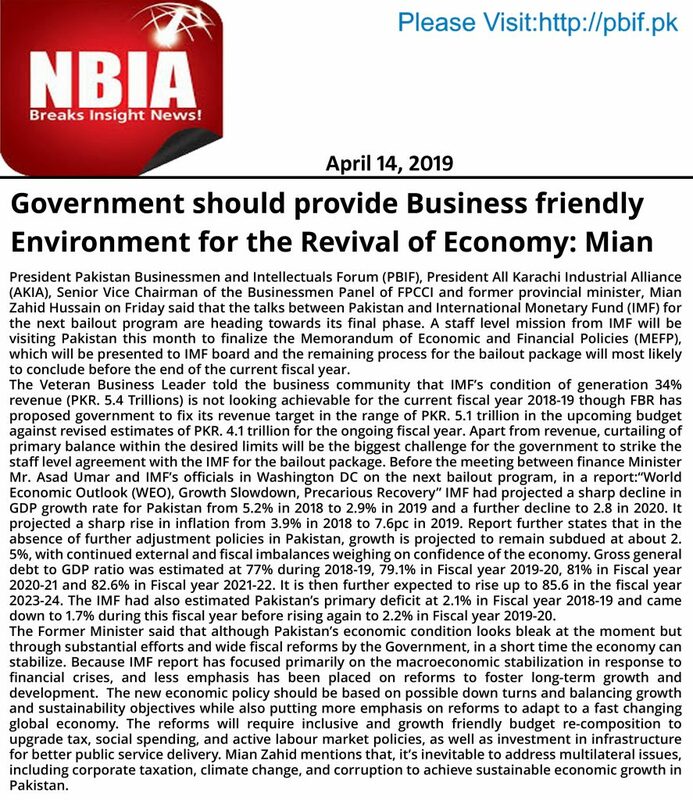 The Former Minister said that although Pakistan’s economic condition looks bleak at the moment but through substantial efforts and wide fiscal reforms by the Government, in a short time the economy can stabilize. 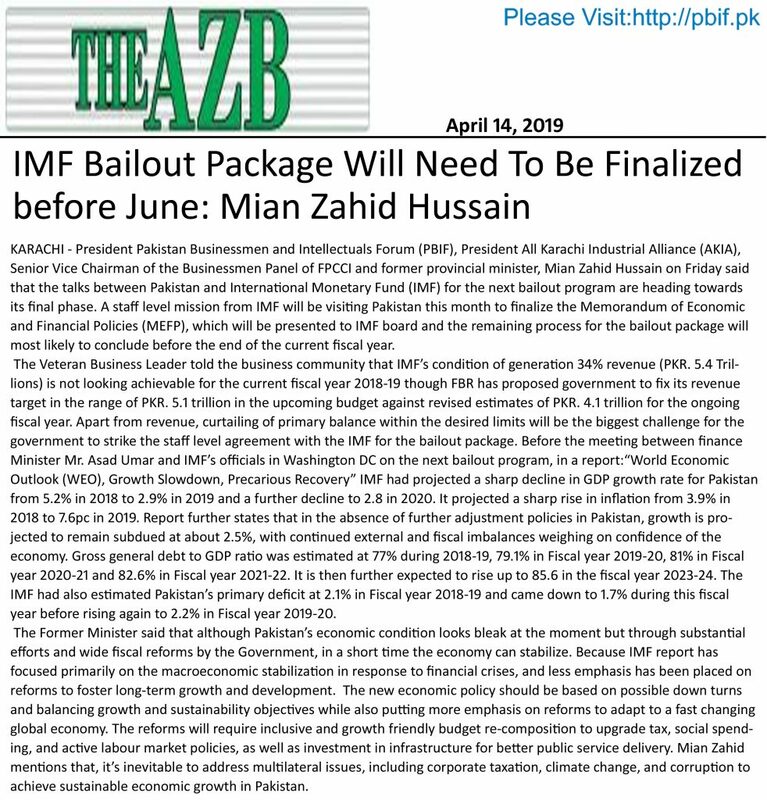 Because IMF report has focused primarily on the macroeconomic stabilization in response to financial crises, and less emphasis has been placed on reforms to foster long-term growth and development. 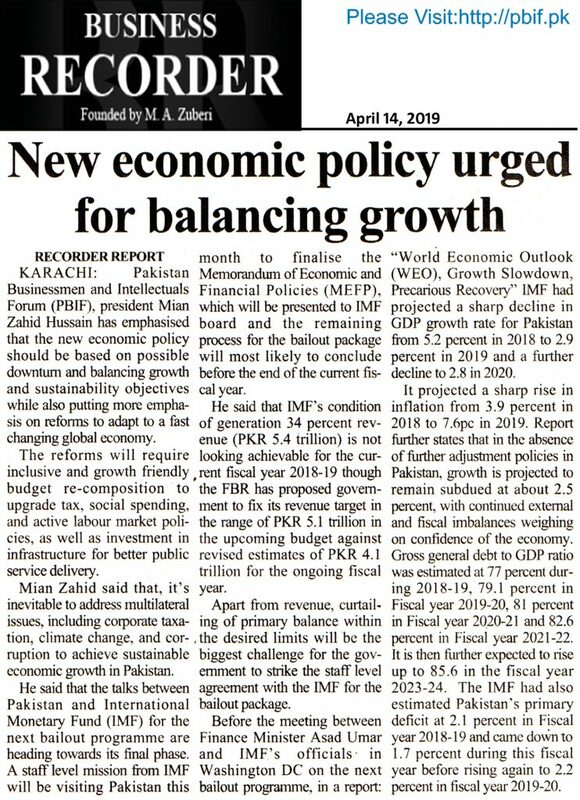 The new economic policy should be based on possible down turns and balancing growth and sustainability objectives while also putting more emphasis on reforms to adapt to a fast changing global economy. 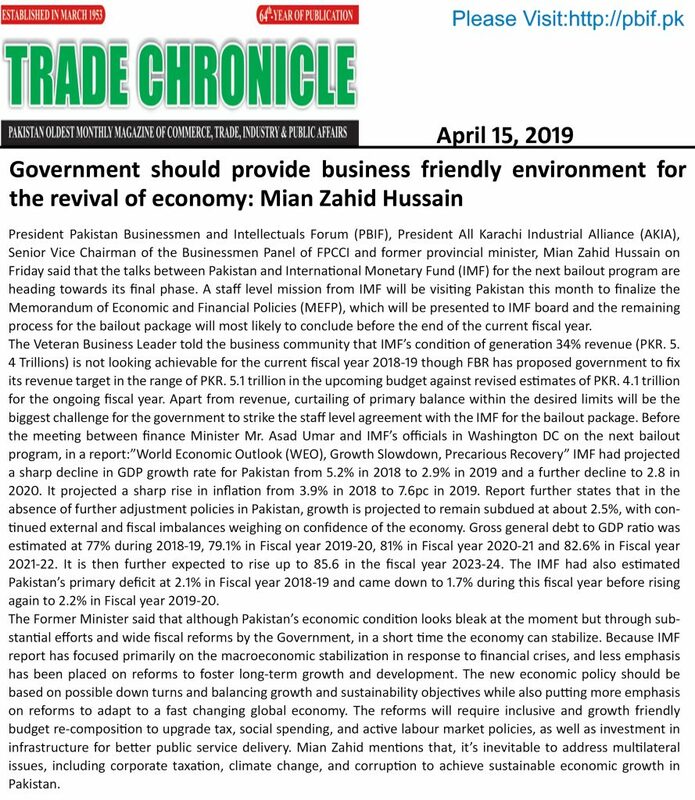 The reforms will require inclusive and growth friendly budget re-composition to upgrade tax, social spending, and active labor market policies, as well as investment in infrastructure for better public service delivery. 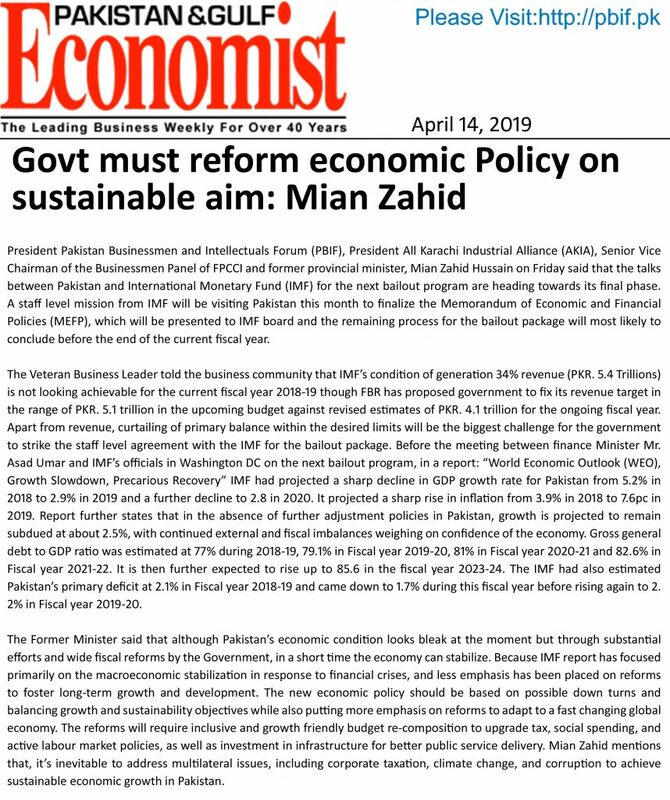 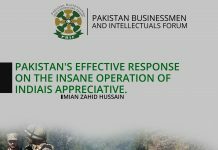 Mian Zahid mentions that, it’s inevitable to address multilateral issues, including corporate taxation, climate change, and corruption to achieve sustainable economic growth in Pakistan. 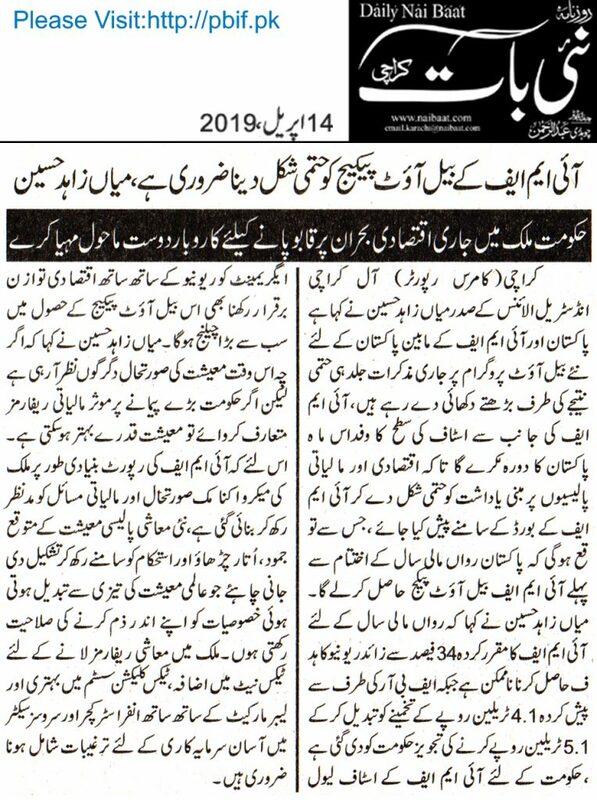 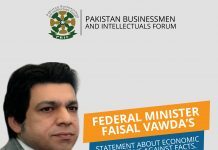 Previous articleFederal Minister Faisal Vawda’s statement about economic prosperity is against facts. 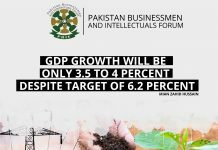 Only 3.4% is expected to achieve out of 6.2% for current fiscal year’s GDP target. 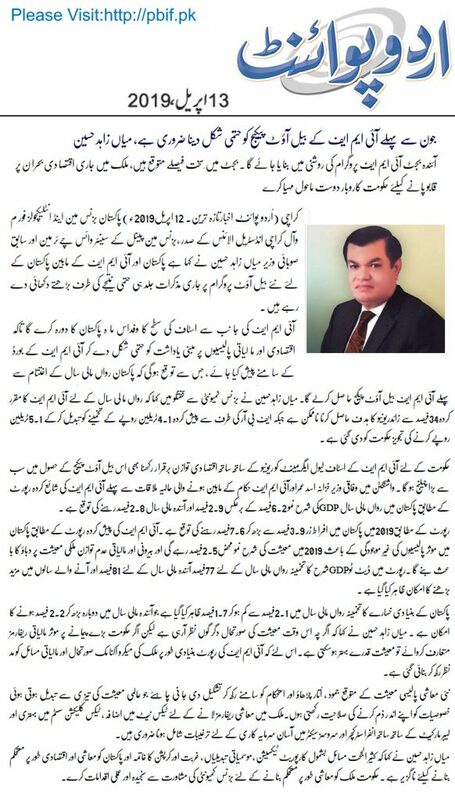 Down turns at stock exchange reflects uncertainty in business and trade. 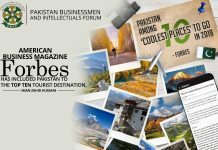 Next articleAmerican business magazine Forbes has included Pakistan to the top ten tourist destination. 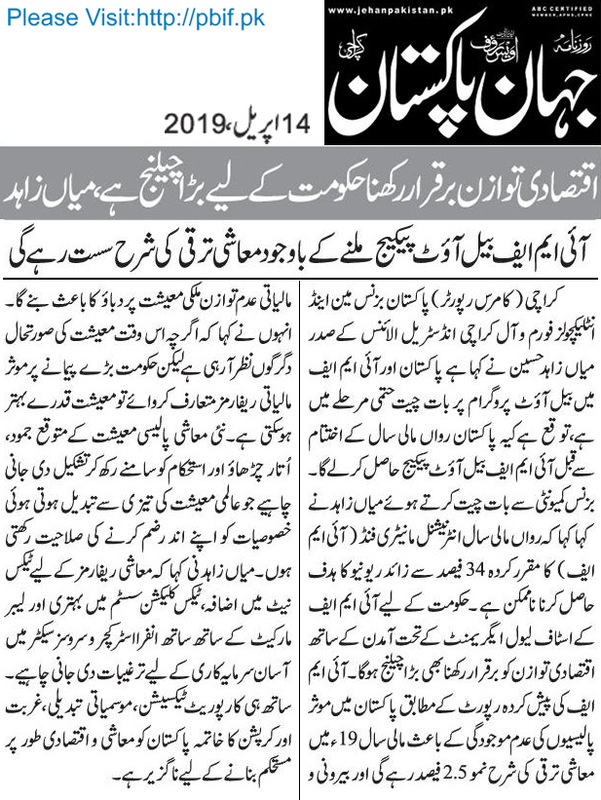 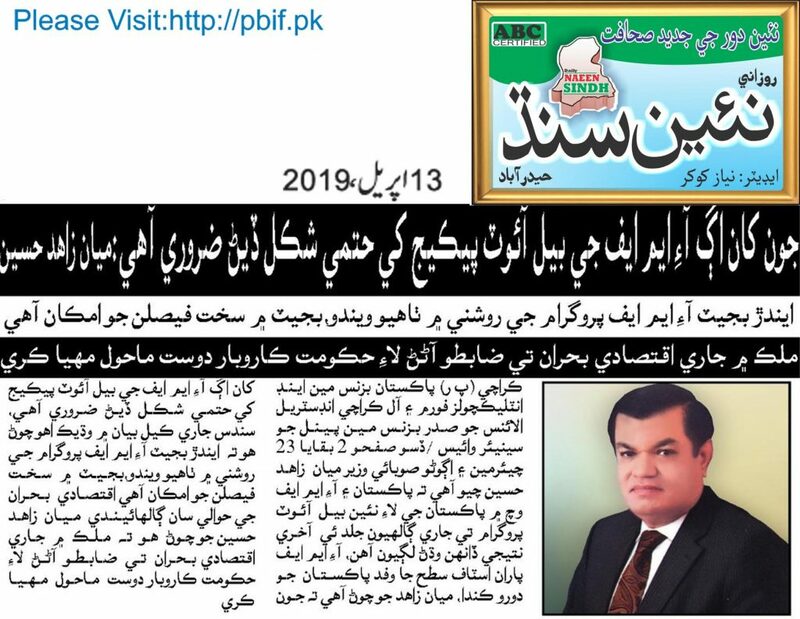 Prime Ministers new visa system will help tourist get Pakistani visa easily – Organizing winter sports events in Pakistan will attract adventure loving people from all across the world.